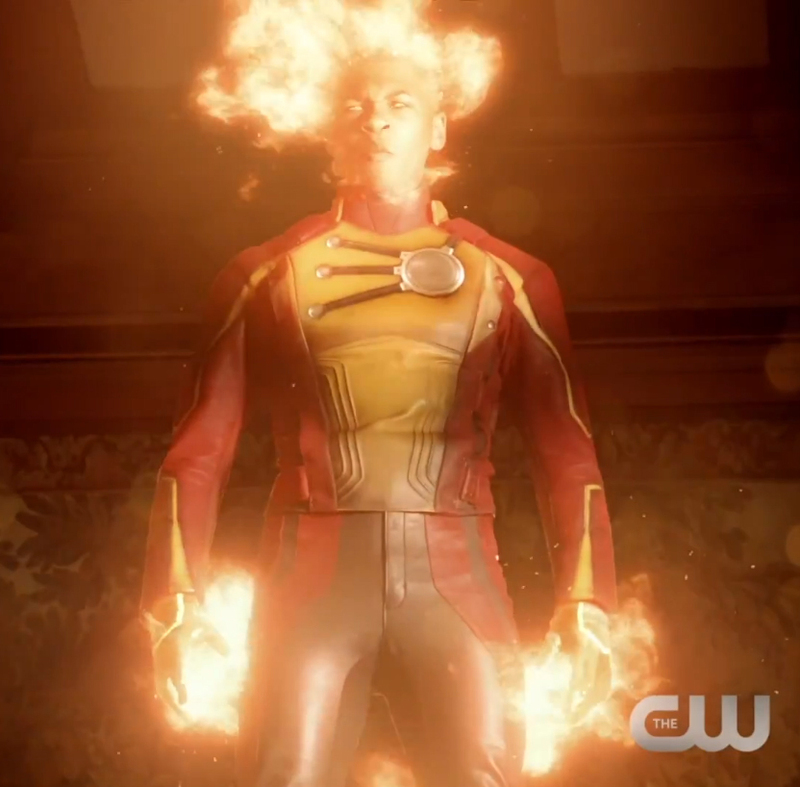 Firestorm on the upcoming Legends of Tomorrow TV series will have a suit that resembles his comic book suit!! A new trailer dropped yesterday announcing a release date of January 21, 2016! Check out a few screen shots below! Click to enlarge! Franz Drameh appears to be doing a great job with the role! 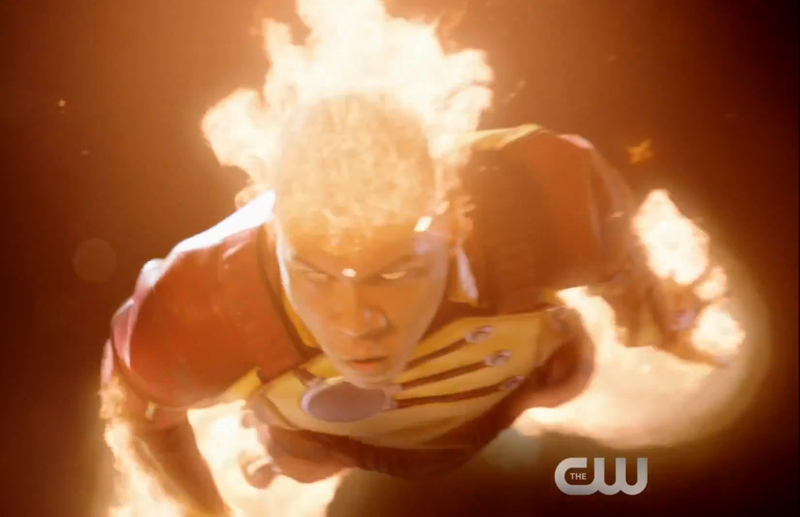 Looking forward to more of his Firestorm! Can’t wait until January 21st for Legends of Tomorrow? Then get your fix by listening to the Legends of Tomorrow Podcast! They discuss all things related to and leading to the show. 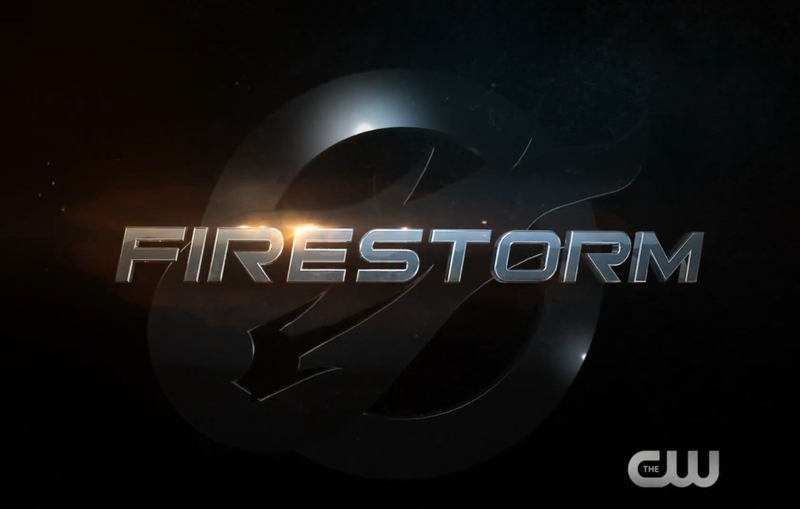 They were even kind enough to invite me to discuss Firestorm on episode 8 of their show! Watch the trailer again below! I can’t count how many times I’ve watched it!! 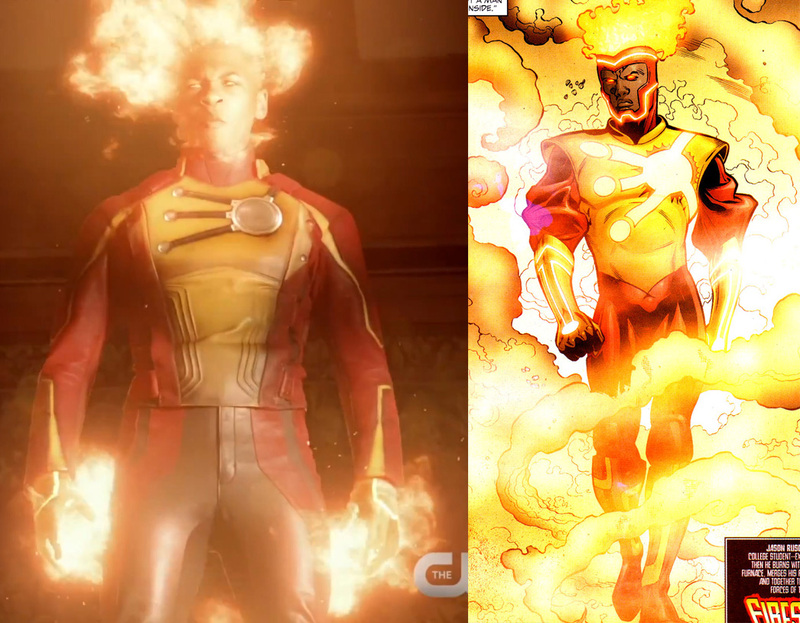 Just a little speculation, but the TV version of the Firestorm suit seems to be heavily influenced by Jamal Igle’s comic book re-design of the Firestorm suit (Firestorm the Nuclear Man #23 from May 2005). See below. Notice the chest emblem ends with the three smaller circles (representing electrons). Jamal was the first artist to interpret the insignia this way. On the TV costume, notice the yellow piping on the shoulders and gloves. This design element was also introduced by Jamal Igle; notice on the comic version the gloves and boots. Similar piping has been used in subsequent suits, including the New 52 Firestorm costumes. Way to go, Jamal! Posted in: Flash TV Series, Franz Drameh, Jamal Igle, Jefferson 'Jax' Jackson, Legends of Tomorrow, Professor Martin Stein, Victor Garber. The new costume looks great. While Robbie Amell was on The Flash I was waiting for him to get a proper costume. 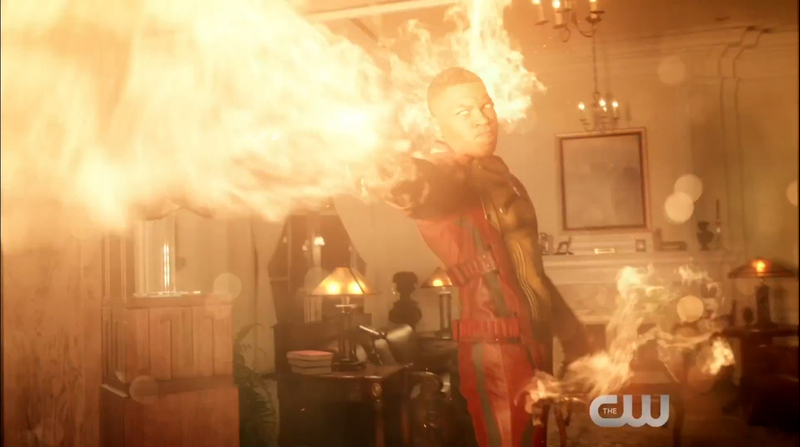 So glad that Franz Drameh gets to wear one for Legends of Tomorrow. Here’s hoping he gets to fight a version of Killer Frost at some point in the show. That is a great great great great suit! Probably the best suit I have seen from comics to on screen in awhile. *sigh* Still no puffy sleeves. Does look cool though.